Two exciting things happened today--I got another positive review from School Library Journal. Yay! I also got a copy of Publishers Weekly in the mail from my editor. The date on it is September 10, 2012, just in case you want to go look for one so you can read the article about A is for Musk Ox! Yup. There's an article about my book in PW. Okay, so it's not just about my book, but my book plays a big part in the article. And I'm even quoted as saying some highly intelligent things, if I do say so myself. Well, maybe not highly intelligent, but I don't think I sound too stupid either, which is something I was worried about. 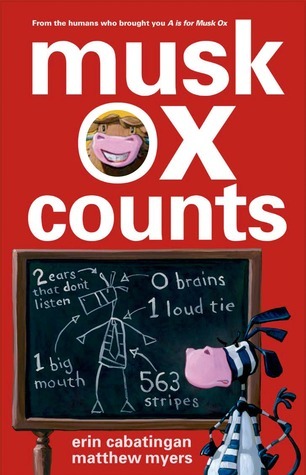 The article is called Two of a Kind: Synchronicity in Children's Publishing. In March of 2012, a book called Z is for Moose by Kelly Bingham was published. And, especially in the description, my book and that book are similar. In Z is for Moose, a moose tries to sneak into the alphabet book before his appropriate time and a zebra tries to keep everything in order. 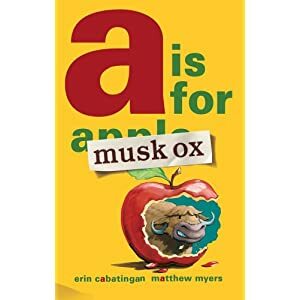 In my book, A is for Musk Ox, a musk ox takes over the alphabet book and a zebra (again) tries to keep things straight. I think it's especially interesting that in both books it's a zebra that tries to maintain control. But, as the article quotes Paul O. Zelinsky (the illustrator of Z is for Moose), the books "seem much more the same in description than in reality." Which is really true. How did I feel when I found out about Z is for Moose? Well, I wish A is for Musk Ox had been first. But I've gotten used to the idea and I'm just excited for mine to come out now. I'm also nervous. Like I said in my last post, I still worry about rejection. What if no one likes it? Anyways, that's my exciting news for the day. Update: Here's a link to the article.